DWDD (1134 kHz Metro Manila) “Katropa AM Radio” is an AM radio station, which transmitter and studios are located at 3rd Floor, PVAO Building, Camp Emilio Aguinaldo, Quezon City, Philippines. DWDD (1134 kHz Metro Manila) “Katropa AM Radio” is an AM radio station, which transmitter and studios are located at 3rd Floor, PVAO Building, Camp Emilio Aguinaldo, Quezon City, Philippines. This is the radio station usually being listened to during emergencies like natural disasters. It Broadcasts from 4:00 am until 11:00 pm, except Holy Week of each year where it signs-off at midnight of Maundy Thursday and until 4:00 am of Easter Sunday. 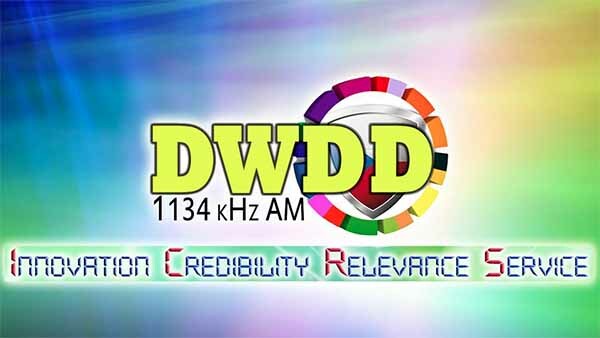 DWDD supports national goals and helps accomplish DND and AFP missions by serving as an effective medium of information for its military and civilian personnel and the general public. 3rd Floor, PVAO Building, Camp Emilio Aguinaldo, Quezon City, Philippines.